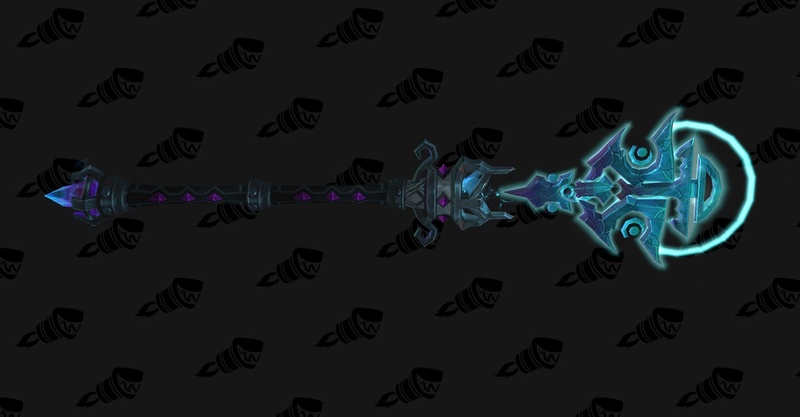 The artifact weapons in World of Warcraft: Legion change the game significantly. Not only is there a weapon for each specialization in the game, but they each have their own traits. These traits work like the older talent system, giving things like increased damage to certain abilities or reduced damage taken. I'm here to list the best relics for each weapon and what they do. 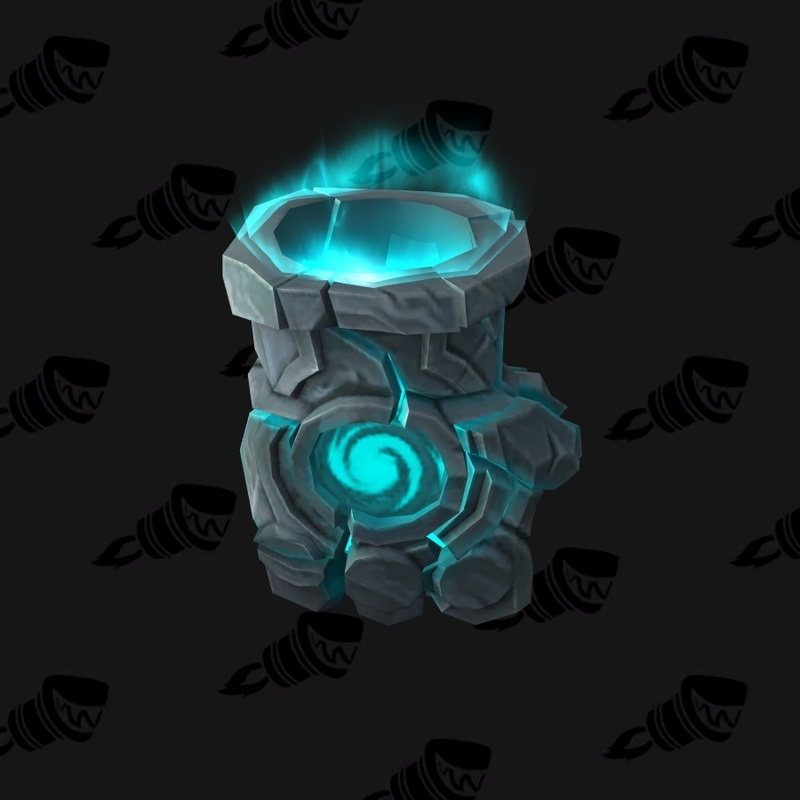 Artifact Relic Info - What relics are and how they work. 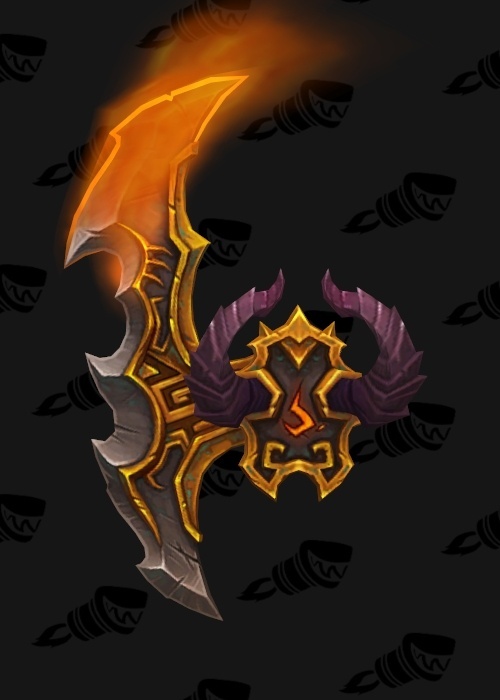 Best Artifact Relics for Each Weapon - The top 3 relics you want to get for each weapon. Each weapon can have a total of 3 relic slots. Each slot is a certain type, like fire, life, blood, etc. Relics add ranks to one of your weapon's traits. You still get the benefit even if you haven't reached that trait yet. 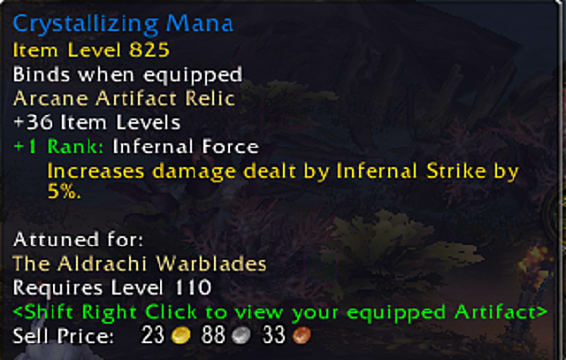 It is important to know that even if you maxed a trait, relics can go beyond that to add even more. You also still need to put the full amount of points in a trait to move on, even if you have some added from a relic. For example: If you have 2 points in a trait that has a max of 3, but get a 3rd point from a relic, you must still put another point in before you can move to the next trait. 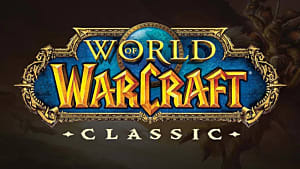 I'm going to list each weapon alphabetically by class, then spec. I'll also list what types of relics each weapon can hold. Relics also only add points to the traits that have a max of 3 ranks. Vampiric Fangs - Increases the max HP gained by Vampiric blood by 10% and increases healing received by an additional 10%. Meat Shield - Increases max Stamina by 1%. Veinrender - Increases damage done by Heart Strike by 3%. Nothing but the Boots - Increases critical strike damage of Obliterate and Frostscythe by 6%. Ambidexterity - Increases off-hand weapon damage of Frost Strike and Obliterate by 10%. Cold as Ice - Increases all Frost damage to deal by 1%. The Darkest Crusade - Increases the effect of your Fallen Crusader Runeforge by 10%. Plague Bearer - Increases the damage done by your Virulent Plague by 7%. Rotten Touch - Increases damage done by Festering Strike by 7%. Sharpened Glaives - Increases the damage dealt by Throw Glaive by 5%. Critical Chaos - Increases critical strike damage of Chaos Strike by 6%. Unleashed Demons - Reduces cooldown of Metamorphosis by 20 seconds. 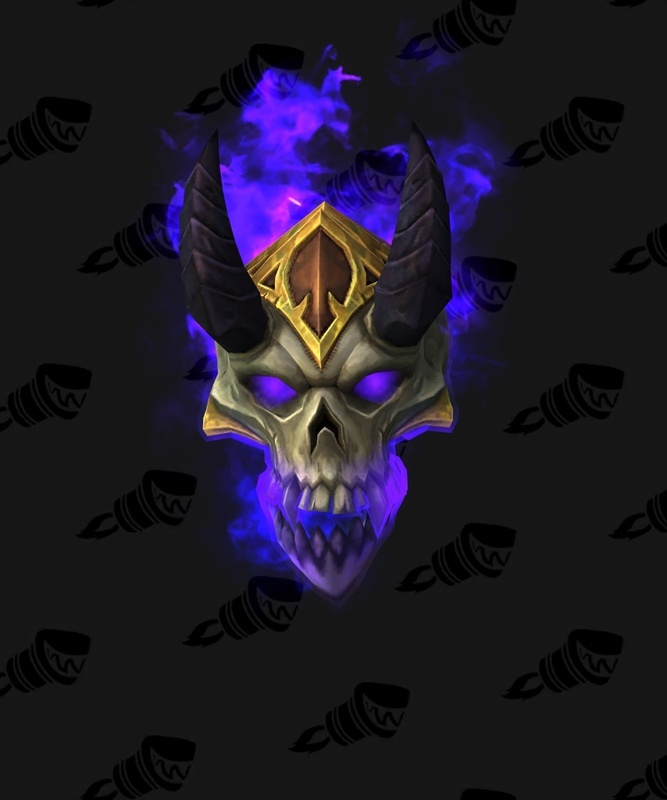 Devour Souls - Soul Cleave heals for an additional 3%. 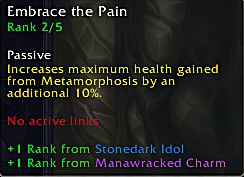 Embrace the Pain - Increases max health gained by Metamorphosis by an additional 5%. Aldrachi Design - Increases your chance to parry by 1%. 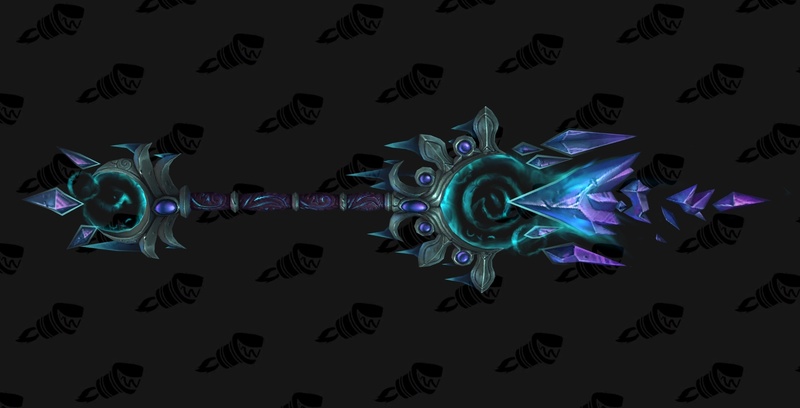 Scythe of the Stars - Increases the critical strike chance of Starsurge by 6%. Falling Star - Increases the damage bonus of Stellar Empowerment by 10%. Solar Stabbing - Increases damage done by Solar Wrath by 5%. Razor Fangs - Increases the damage dealt by Rip by 7%. Tear the Flesh - Increases the damage dealt by Rake by 7%. Ashamane's Energy - Tiger's Fury generates an extra 5 energy every 1 second for 3 seconds. Wildflesh - Increases healing done by Frenzied Regeneration by 5%. Ursoc's Endurance - Increases the duration of Barkskin, Iron Fur, and Mark of Ursol by 0.5 seconds. 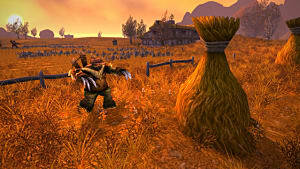 Reinforced Fur - Ironfur increases armor by an additional 4%. 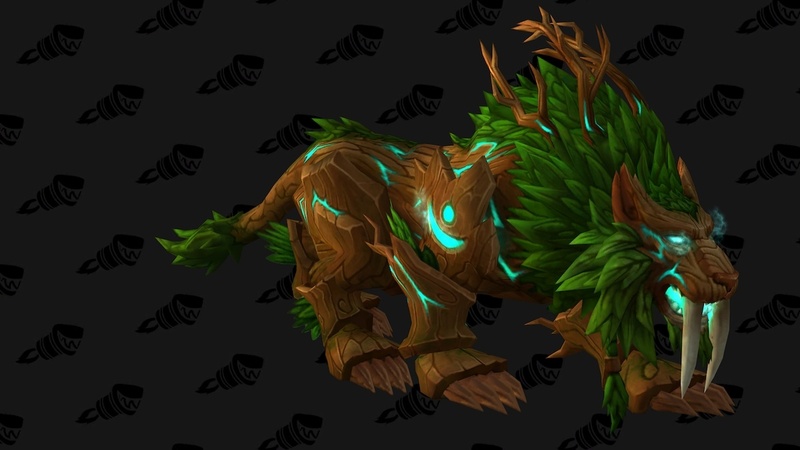 Infusion of Nature - Reduces mana cost of Wild Growth by 2%. Grovewalker - Increases all healing over time you do by 1%. Pack Leader - Increases the damage dealt by Kill Command by 5%. Jaws of Thunder - Kill Command has a 10% chance to deal 50% of its damage as Nature damage. Furious Swipes - Increases damage done by Beast Cleave by 10%. Windrunner's Guidance - Increases the damage dealt by Marked Shot by 3%. Precision - Increases the critical strike chance of Marked Shot by 3%. Marked for Death - Marked Shot increases the critical strike chance of Aimed Shot by 2% against the target for 10 seconds. Sharpened Fang - Increases damage dealt by Mongoose Bite by 3%. Explosive Force - Increases Explosive Trap damage by 3%. Lacerating Talons - Increases damage of Lacerate by 3%. Ethereal Sensitivity - Spells have a 1% increases chance to activate Arcane Missiles. Aegwynn's Wrath - Increases Critical Strike chance by 1%. Blasting Rod - Increases damage done by Arcane Blast by 2%. Pyroclasmic Paranoia - Increases the damage dealt by Pyroblast by 2%. Fire at Will - Decreases the cast time of Fireball by 3%. Everburning Consumption - Increases damage dealt by ignite by 4%. Let it Go - Increases the critical strike damage of Ice Lance by 4%. 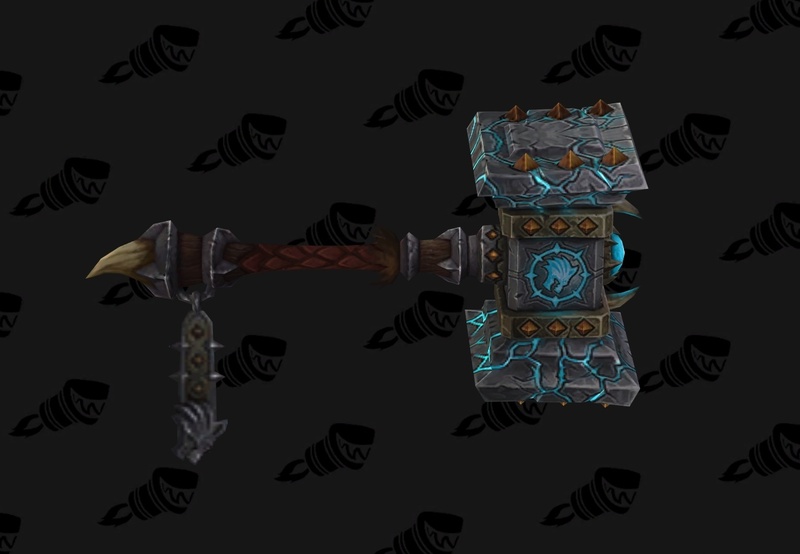 Frozen Veins - Frostbolt critical strikes reduce the remaining cooldown of Icy Veins by 0.5 seconds. 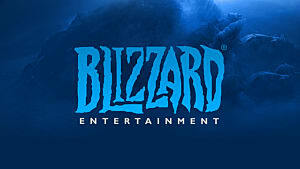 Ice Age - Increases damage of Flurry by 5%. Hot Blooded - Increases the damage done by Breath of Fire's Burning effect by 50% and reduces the target's damage done to you by 4%. Overflow - Each time Gift of the Ox generates a Healing Sphere, it has a 5% chance to generate a Greater Healing Sphere that heals for twice as much. Dark Side of the Moon - Blackout Strike also reduces the damage of the target's next auto attack against you by 4%. Extended Healing - Increases the duration of Renewing Mist by 1 second. Way of the Mistweaver - Increases healing done by Enveloping Mist by 3%. Infusion of Life - Increases healing done by Vivify by 5%. Fists of the Winds - Increases the damage dealt by Fists of Fury by 5%. Rising Winds - Increases damage dealt by Rising Sun Kick by 5%. Inner Peace - Increases max Energy by 10. Shock Treatment - Increases the critical strike damage and healing of Holy Shock by 8%. Deliver the Light - Increases the healing done by holy Light and Flash of Light by 3%. Expel the Darkness - Increases the healing done by Light of Dawn by 3%. Faith's Armor - Increases Armor by 20% when under 40% health. Scatter the Shadows - Increases healing done by Light of the Protector by 10%. Consecration in Flame - Increases the duration of Consecration by 1 second. 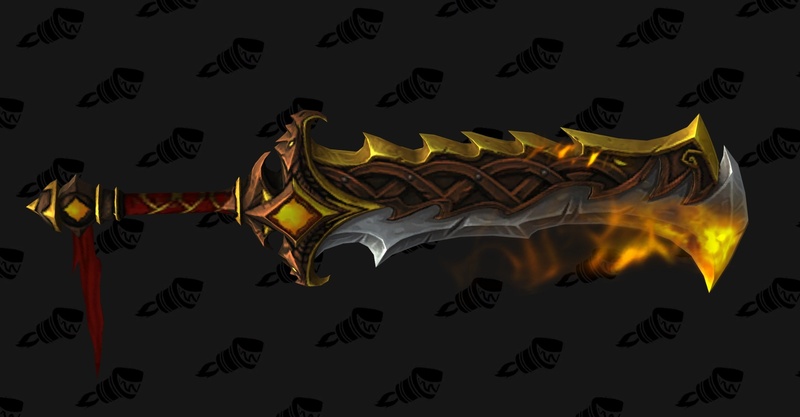 Wrath of the Ashbringer - Increases the duration of Avenging Wrath/Crusade by 2.5 seconds. 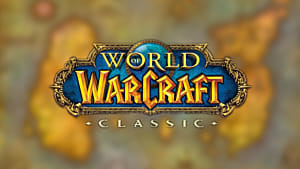 Highlord's Judgment - Increases damage dealt by Judgment by 8%. 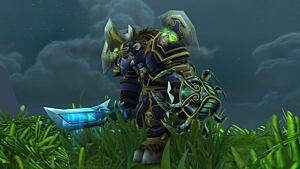 Deliver the Justice - Increases damage dealt by Blade of Justice/Divine Hammer/Blade of Wrath by 8%. Confession - Increases damage dealt by Penance by 4%. The Edge of Dark and Light - Increases damage dealt by Shadow Word: Pain by 5%. Shield of Faith - Increases the damage absorbed by Power Word: Shield by 5%. Serenity Now - Increases the critical strike chance of Holy word: Serenity by 5%. Reverence - Increases healing done by Flash Heal and Heal by 3%. 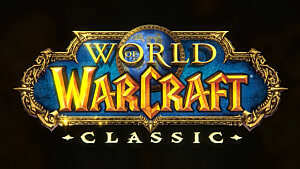 Words of Healing - Increases healing done by Holy Word spells by 3%. Unleash the Shadows - Vampiric Touch critical strikes have a 15% chance to generate a Shadowy Apparition. Creeping Shadows - Increases Shadow damage dealt by 1%. To the Pain - Increases damage of Shadow Word: Pain by 6%. Gushing Wound - Increases damage dealt by Rupture by 3%. Serrated Edge - Increases critical strike chance of Rupture by 3%. Balanced Blades - Increases critical strike chance of Mutilate by 2%. Fate's Thirst - Increases damage dealt by Run Through by 8%. Fortune's Strike - Increases damage dealt by Main Gauche by 10%. Fatebringer - Reduces the energy cost of finishing moves by 4. Demon's Kiss - Increases damage of Nightblade by 5%. Gutripper - Increases critical strike chance of Eviscerate by 5%. Precision Strike - Increases damage of Shadowstrike by 5%. Lava Imbued - Increases damage dealt by Lava Burst by 3%. Molten Blast - Increases critical strike damage done by Lava Burst by 2%. Call the Thunder - Increases the Nature damage you deal by 1%. Wind Strikes- When Stormbringer resets the remaining cooldown of Stormstrike, you gain 10% attack speed for 3 seconds. Gathering Storms - Each target hit by Crash Lightning increases the damage you deal with your next Stormstrike within 12 seconds by 2%. Queen Ascendant - Your direct heal criticals reduce the cast time of your next heal by 5%. Tidal Chains - Tidal Waves reduces cast time and increases critical effect chance by an additional 10%. 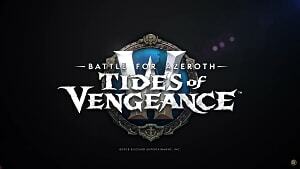 Pull of the Sea - Increases healing done by Riptide by 6%. Shadowy Incantations - Increases your Shadow damage dealt by 1%. Inimitable Agony- Increases damage dealt by Agony by 4%. Inherently Stable - Increases critical strike chance of Unstable Affliction by 2%. Summoner's Prowess - Increases the health and haste provided by Demonic Empowerment by 2%. Infernal Furnace - Increases the damage dealt by Wild Imp's Firebolt by 10%. Chaotic Instability - Increases critical strike damage of Chaos Bolt by 3%. Burning Hunger - Increases critical strike chance of Immolate by 8%. Residual Flames - Increases damage dealt by Immolate by 6%. Exploit the Weakness - Tactician's chance to trigger is increased as if you spent 10% more rage. Many Will Fall - Increases damage dealt by Whirlwind by 5%. Wrath of Fury - Increases damage dealt by Raging Blow by 5%. Unrivaled Strength - Increases the critical strike damage you deal by 5% during Battle Cry. 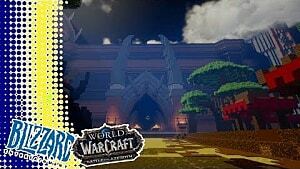 Dragon Skin - Increases the total damage ignore by Ignore Pain by 2%. 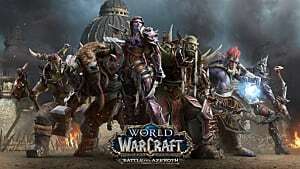 Vrykul Shield Training - Increases armor by 2%. Shatter the Bones - Increases the critical strike chance of Shield Slam by 5% during Shield Block. 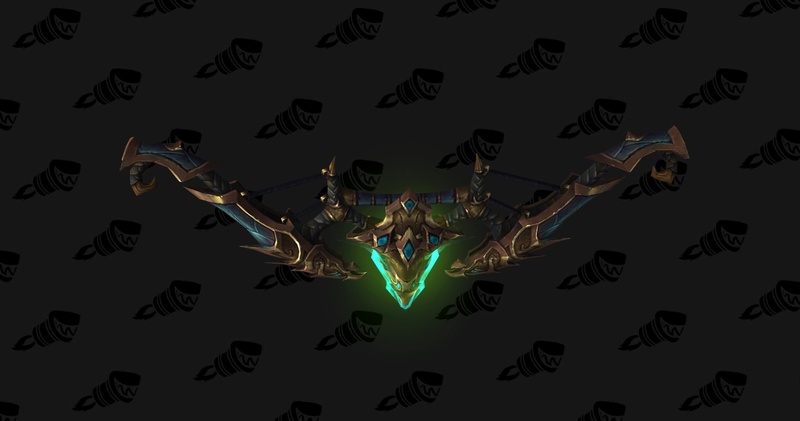 That's it for the guide on best artifact relics for each weapon in Legion. Let me know if you have any questions!